EMR software has already provided countless benefits to doctors and patients all across the globe. These records go far beyond the abilities of pen and paper, providing better speed and communication across the healthcare field. For instance, they remove all of the confusion that poor handwriting causes between doctors and patients, reducing wasted time. On a larger scale, they cut back the time it takes for healthcare professionals to communicate with one another about specific patients, which is a critical factor in case of emergencies. They’re better protected from physical disaster than paper records, and they last for longer periods of time. Still, EMR software comes with certain core requirements and considerations. Both the developers and the client should consider the following aspects when designing or upgrading EMR software. EMR software certainly provides efficiency and convenience to healthcare providers. However, doctors and software designers must focus on how these changes will impact patients. Some byproducts of EMRs can improve patient outcomes, for example. The easier accessibility and better communication between providers can mean faster test results, better insights, and more accuracy. Because the patient is at the forefront of this software, clients and developers must consistently consider how changes will impact the patient. These considerations can lead to long-term improvements in the software. We’ve already mentioned that EMR software can safeguard its information from physical disasters. But what about digital disasters? During EMR software development, developers must use all available measures to protect patients from information leaks. The first and most obvious way to do so is by maintaining full HIPAA compliance. The software should also follow state-mandated Electronic Data Interchange (EDI) processes. By working closely with the client, software designers can gain a full understanding of their requirements. Furthermore, the software must have safeguards against breaches during communication. 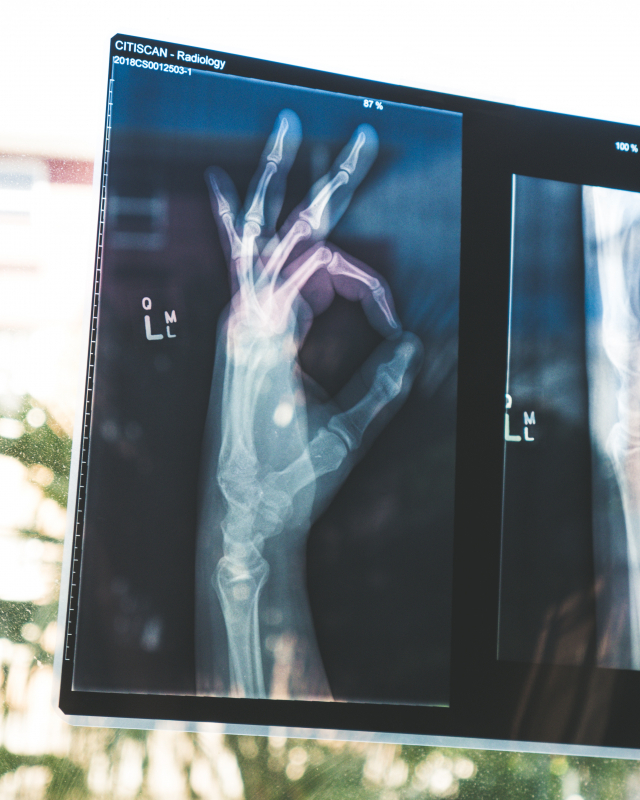 Because EMR software does allow for instant communication between medical professionals, the software must have protections for secure communication across different channels. Speaking of compliance and security, those who want to implement EMR software should make sure that their new software is easily updated. Why? Because privacy and security laws evolve as new technology emerges. While the evolution is necessary, it can make record-keeping more difficult for those whose software lacks scalability. Furthermore, as technology changes, so do security threats and hacking capabilities. When your record keeping processes are set in stone, you’ll have to change nearly everything about your software when the laws and technologies change. If, however, your developers have provided your software with some wiggle room, you won’t have to worry about it. You can keep up with changing needs and laws without any major issues, and you’ll save the money that you would have spent on expensive upgrades. You’ll also want an EMR software that providers and patients can use across several platforms. In doctor’s offices, providers will likely access these records from computers or tablets. When they send information to other healthcare providers, they may use mobile devices. Likewise, patients are likely to use mobile devices such as smartphones when they access their own data. The EMRs should remain accessible from all of these different platforms, and they should stay as intuitive and user-friendly as possible. Additionally, as new technology evolves, the room for growth that we mentioned earlier will ease the transition into new devices. For multi-platform usage, your best choice is to find a software engineer team with experience building mobile apps as well as computer based technology. This way, you’ll know that your software will work just as well on a phone as it will on a desktop computer. Your end users won’t experience frustration and glitches. Finally, your EMR software development should yield an excellent return on investment, both in time and money. When electronic records can help you increase efficiency, you can decrease the amount of time that it takes to identify your patients and their needs. As a result, you can avoid using unnecessary resources and ultimately save money on all of the costs of paper storage. To get the best ROI, though, you’ll need to hire a software solutions company that understands the financial strengths and challenges of implementing EMRs. This way, your team can work with you to create a system with a financial value that rivals its convenience factor. Do you need help with EMR software development? Ayoka Systems has exactly what you need. Our team has led the way in medical software development for years. As a US-based, client-centric software company, we do everything in our power to provide all of the above benefits. From full HIPAA compliance to the latest innovations, we develop healthcare software that works wonderfully for our clients. If you’re ready to get started, contact Ayoka Systems today.